Technology has changed the way we live and do things. With lots of technological advancements at our beck and call, living in this generation has been made easier. In recent years, enough improvements have been made to ensure our homes are a little more tech savvy. Home automation is one of the leading technologies employed to keep our homes safe even when we are away. What are the benefits of this system and how has it enhanced our lives? Here, we will see 9 reasons why adding this cutting-edge technology to your home is so important. Home automation makes the home more secure: With home automation, your gadgets will be well protected even when you are on vacation. You can easily turn off the lights, television, or any electrical gadgets with your smartapp in case someone forgets to turn them off. Automatic door locks help you secure your home: With an automatic door lock, you can easily lock your door from a remote place with smartlock. This eases your mind, allowing you to give total attention to your work without worrying about who may have entered your home. Simplifies things for you: When your home electrical gadgets are harnessed, you can control all of them with a single app. You won’t bother about carrying different types of remotes from one room to the other. Moreover, everything is available at the snap of your finger. Temperature adjustment increases convenience: With this cutting-edge technology, you can easily control the temperature regulation in your home. You can power on your air conditioner while you are on your way home. This way, your home can be regulated in the right order before you even step in. This will provide more convenience as you won’t have to wait for some time before your household temperature will get adjusted. It saves you time: If you are a very busy person, any minute of the day will be important to you. But with home automation, you will never get worried about reaching home to get the door open for your children after school. Cut down on cost: Home automation allows you to put off your appliances even when you’re physically out of reach. This helps you cut down on energy cost. 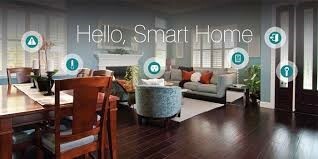 Peace of mind: If you are in the habit of forgetting things, a home automation will be a great investment. This will give you the flexibility of putting off any gadget anywhere you are, in case you forget to do so. It gives you complete control: If you have a home cleaner or a maid who usually comes when you’re out, you don’t have to worry about sharing your home keys with them. 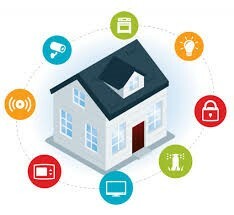 A home automation system will help you provide access to them and monitor when they get in and when they leave. Significantly Lowers Insurance: A lot of insurance companies provide discounts to those who have automated their homes. This is another good way of reducing your expenses. To conclude, above are some of the benefits of automating your home. It gives you control, lowers energy cost, gives you a peace of mind, and adds more value in your desire to live a more convenient life.